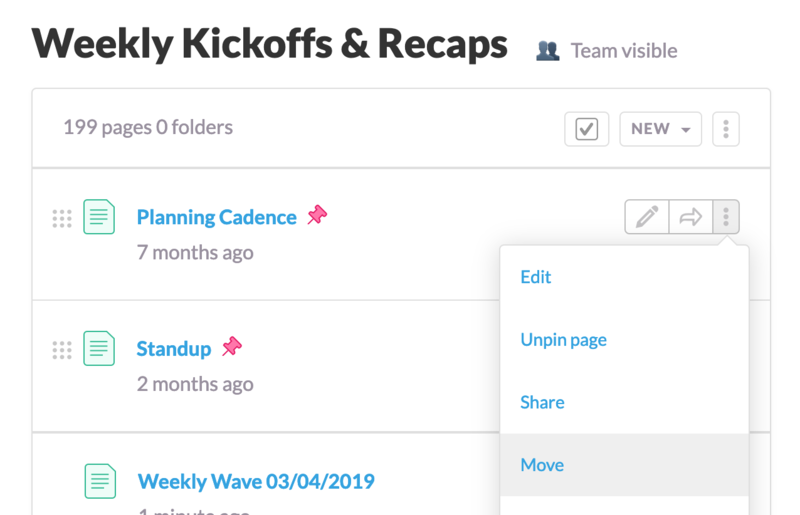 Folders give you the ability to further group related content for better discoverability and organization within categories. 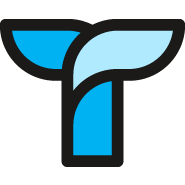 Folders are located in the pages list on the category page. Folders will always show above pages (unless the pages are pinned). Simply click the folder name, to view all the folders contents. A page may only exist in a single folder. 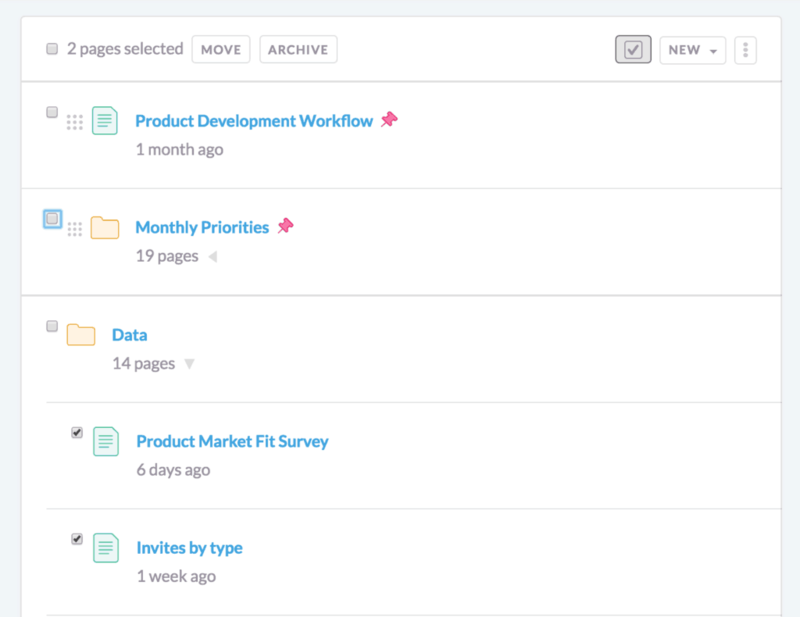 To create a new folder, use the create folder button on the category page. 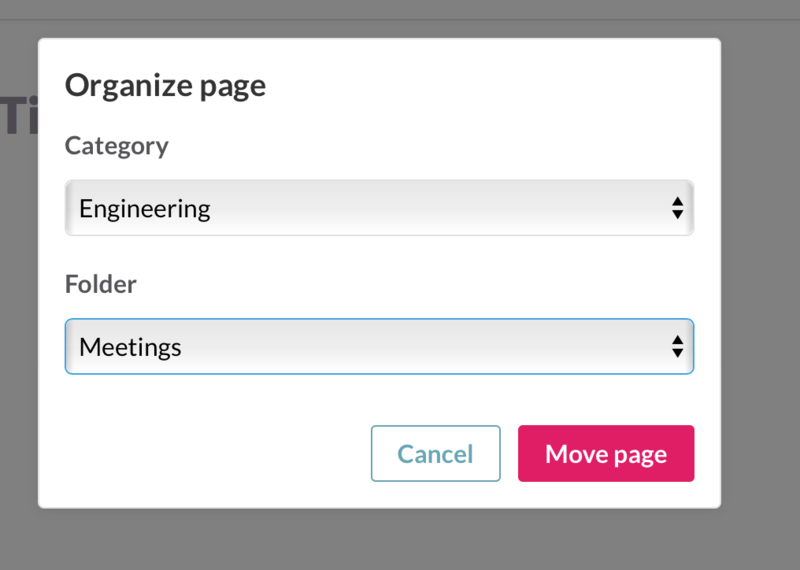 While creating new pages, you can add them to a category and a folder by clicking the "choose category/folder" button in the header. You'll then be able to select the category and folder you want to move that draft to. This will bring up the following menu allowing you to choose a different category and folder to move this page into. 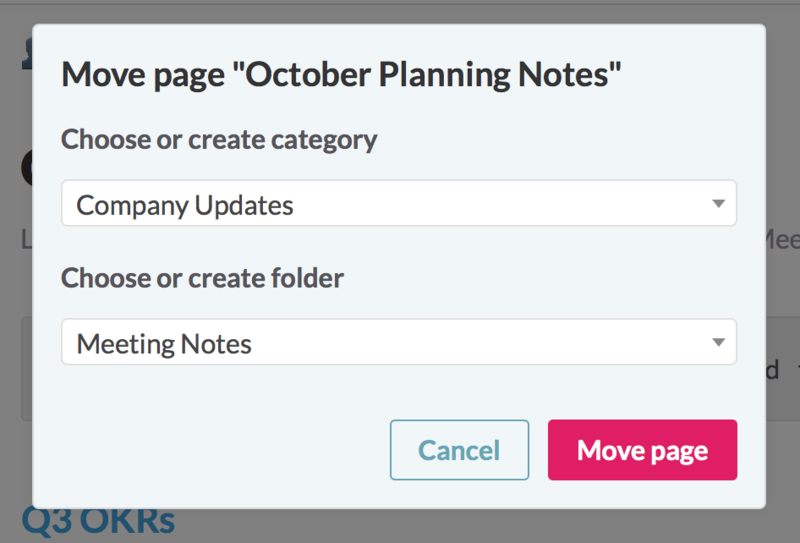 Select the pages you'd like to move by using the checkboxes to the left of each page. 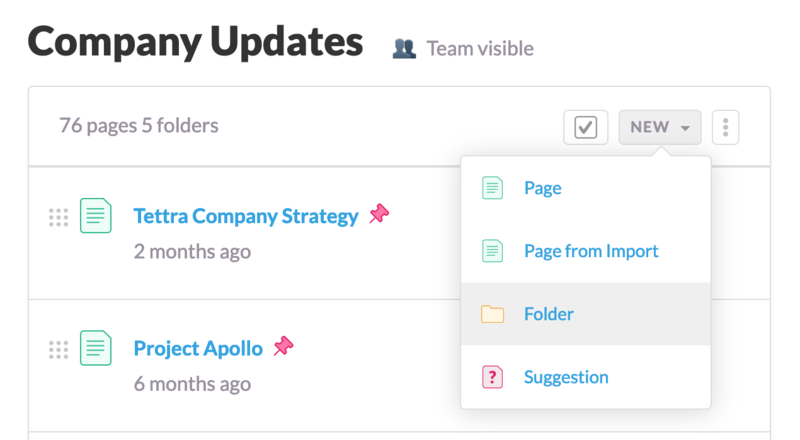 Once you've selected your pages, you can choose the category and the folder you'd like to move them to. Please note: if you select folders, you may only move them to a new category (we don’t support nested folders at this time). Congratulations 🎉 Your pages are now filed in the Folder you chose. Give yourself a gold medal 🏅 for organization.